Being able to contact someone by calling them is a powerful method of communication. Not only is it a more professional way to reach out to someone, but it’s also more personal. However, sometimes it can be tricky to find someone’s number, but there are ways to speed up the process. Should you be looking for a cell phone or landline number? To start, it’s good to know if you should be looking for a cellphone or landline number. According to Pew Research, 95% of adults own a cell phone. Additionally, 53.5% percent of adults own both a cell phone and a landline, and 46.5% own only a cell phone and no landline. Landlines are on their way out of the picture, so keep in mind that searching for a cell phone number may be your safest bet. 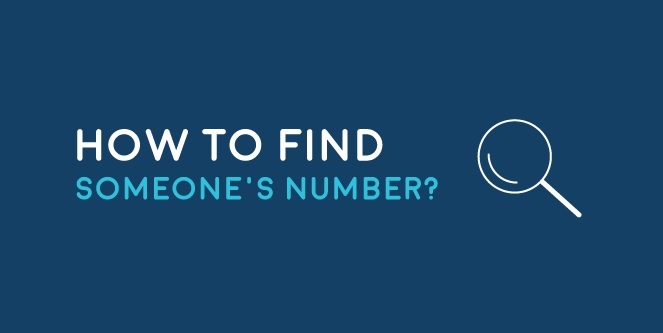 Another way to find someone’s phone number is the area code clue. Until recently, even cell phone had area codes that were assigned to geographical areas. Therefore, knowing where someone lives may drop a hint of their three numbers on their phone number. However, while that trick may help you find a number, on Average American’s change their cell phones about every 29 months. If you want to try to get ahold of someone, relying on an old number may not be the best option. Now that you have some basic idea of what you are looking for, the best way to find someone’s number is to head online. Most people begin their search on Google. Having an email address of the person’s may help you locate the number. They also may have their number on the internet for business purposes. While searching for numbers on Google can be successful, most of the time it isn’t and additionally it is time consuming. This might not be the best method. Social media is a slightly better option but doesn’t yield the best results. If you aren’t already connected on social media to the person you are looking for, it will be very hard to find this information. Some people still use paper phone directories. Although that still works for certain situations, these directories only include landlines. The white pages that come on your doorstep are useless if you are looking for a cellphone number. The quickest, most discreet way to locate a number is through a people search website such as National Cellular Directory. Using a people search tool is the perfect way to find what you are looking for because the data is already populated for you in their database, and you don’t have to fish for the information yourself. Additionally, you can use these tools to access addresses, names, age, or even search to find who Is calling you.